The Fellowship was fortunate enough to obtain a copy of GRIMM TALES OF TERROR #3 from Zenescope Entertainment. The story is written by Ben Meares; with art by Jason Muhr, colors by Marco Lesko, and lettering by Fabio Amelia. GRIMM TALES OF TERROR overall has been an enjoyable read; reminds me of the classic TALES FROM THE CRYPT and other horror anthologies. Meares crafts a story with twists and turns that you don’t know where things are going until it’s too late. 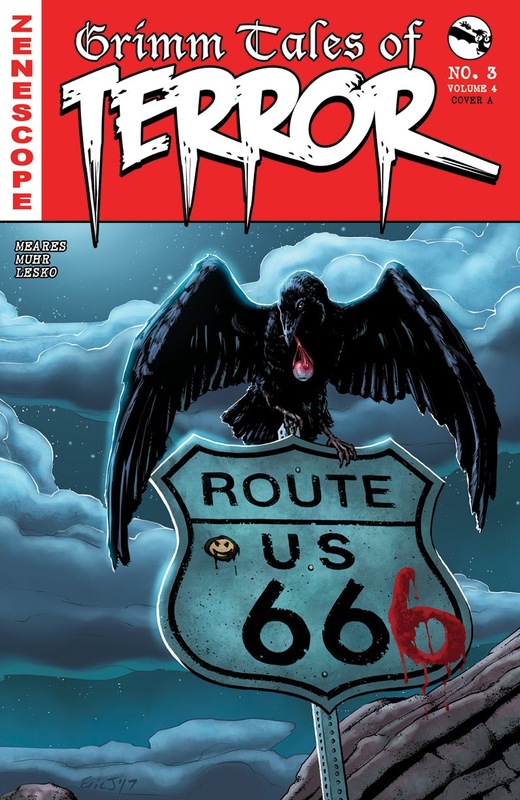 I’m familiar with Jason Muhr’s (VORACIOUS), Marco Lesko, and Fabio Amelia (previous issues of GRIMM TALES OF TERROR). These are underrated artists that did an excellent job on this issue. Check this book out. GRIMM TALES OF TERROR #3 is in stores now or available at www.zenescope.com.